Well, well, well. What a night! We promised you epic and we did not disappoint! Friday 10th July saw the culmination of our year long endeavours and the ABA Presentation Night 2015. We were so lucky this year as we were joined by all 5 of our final shortlisted authors. Annabel, Emma, James, Jon and Sally. Wozers! They were so lovely and very funny! 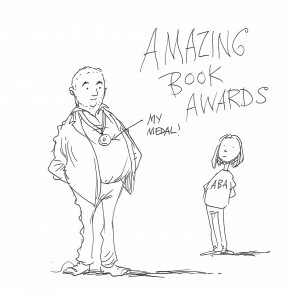 Well folks, not only did we have 5 of the best authors in the country right now, but we were also joined by a phenomenal host, the amazing, the awesome, the bonkers Chris Riddell! 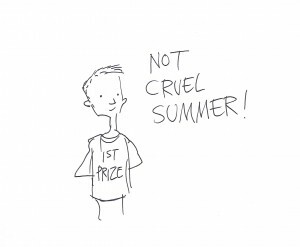 And Chris isn’t just any old host, he’s an author, an illustrator and he’s the new Children’s Laureate. Ooh yeah! Chris live drew the authors all night as they talked about their books and answered questions from the huge audience. We were expecting about 200 people and in the end we had nearly 400. Woo! If you were there we hope you had as much fun as we did, and if you missed out this year fear not! We’ll be sending out the DVD in September. Photo gallery to follow ASAP. 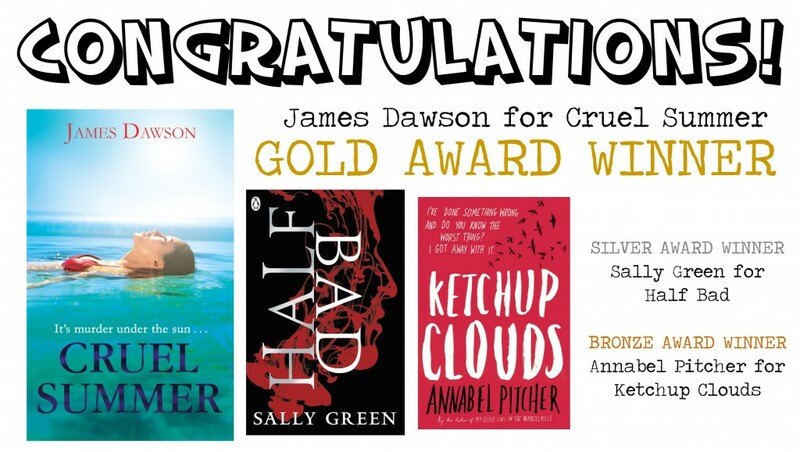 Massive congrats to James for being the first author to win the ABAs two years in a row, and he has already confirmed that he will be our awesome host next year! Congratulations to Sally and Annabel too. Huge thanks to all our authors for joining us, we really couldn’t do it without your support. And final thanks go to our schools and supporters – thank you so much for all you do for us in your schools and with your students. We wouldn’t be the ABAs without you! Hope you have a fantastic summer!